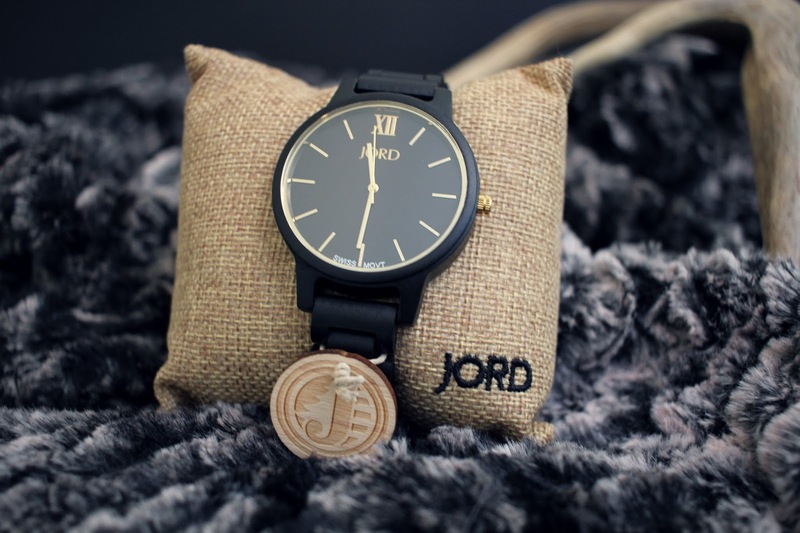 JORD Watches had so kindly contacted me and wanted to send me a watch to review as well as host a giveaway for a chance to win a gift card for you all! The details and entry form will be linked below at the bottom, so if you're interested please check it out, but please, keep reading and learn a bit about the company and watch below! 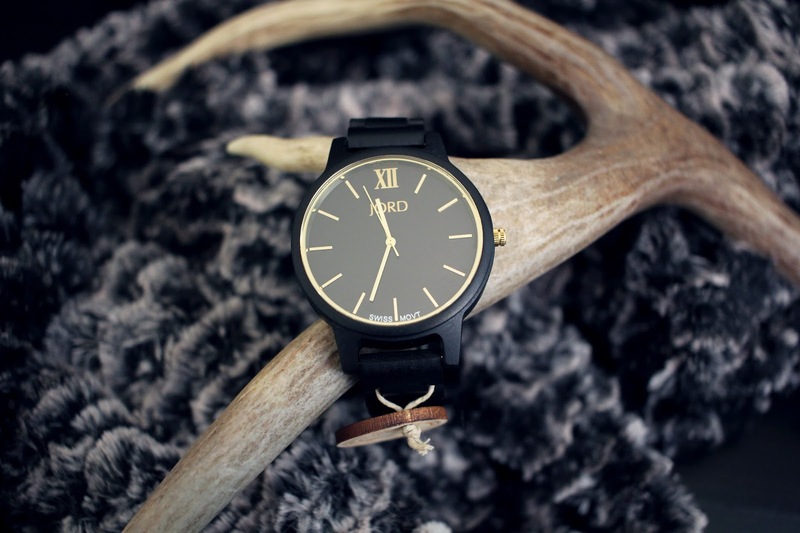 I decided that I would gift my boyfriend with this beautiful watch just because but in the spirit of Valentine's Day, which is quickly approaching, this would make a great gift! He opted for the style Frankie in Ebony and Gold which I think suits him well. The natural ebony is hand finished and features sapphire crystal glass and face with a minimalistic design. 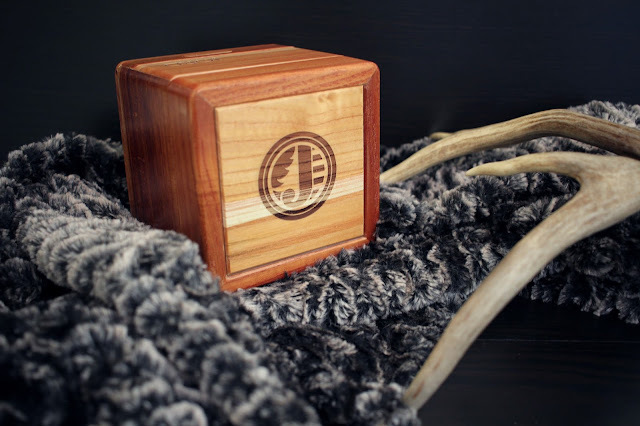 The watch comes in a beautiful wood box for later storage with the logo of JORD on the top. 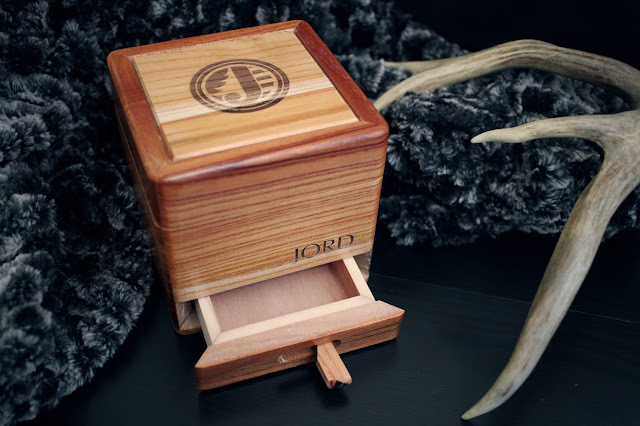 It also has a little pull out drawer on the bottom where you can store the oils etc that they supplied to keep the watch looking perfect. 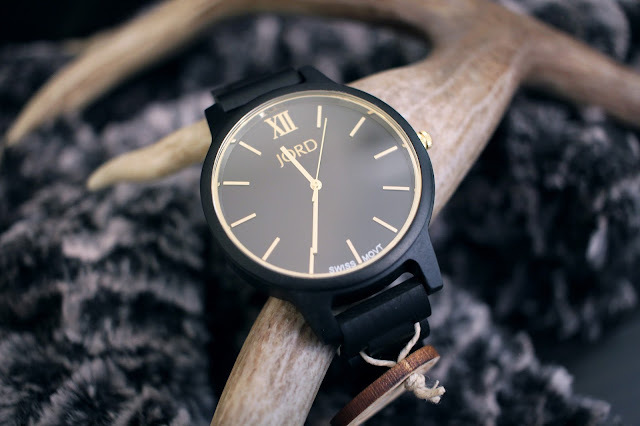 The watch retails for $189 and this series has six different colour options. 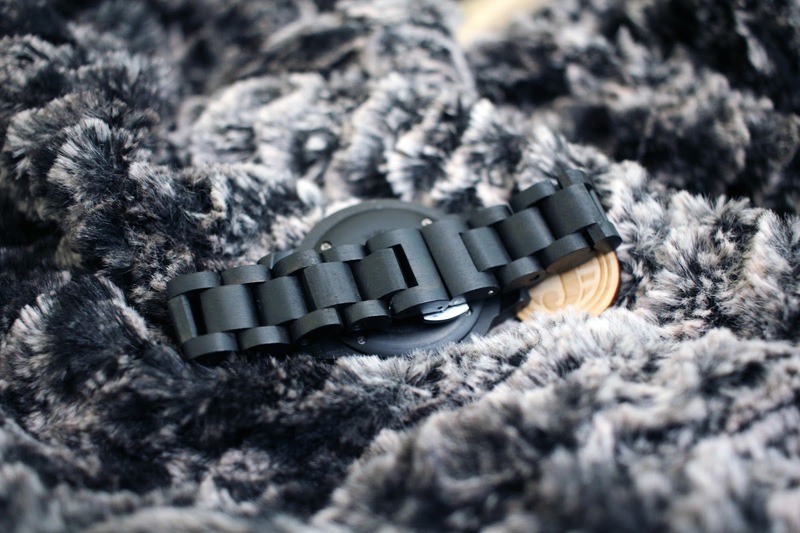 You can also get the watches engraved and have it sized to your wrist. It is splash proof but should not be submerged in water (3 ATM). It comes with a limited one year warranty. 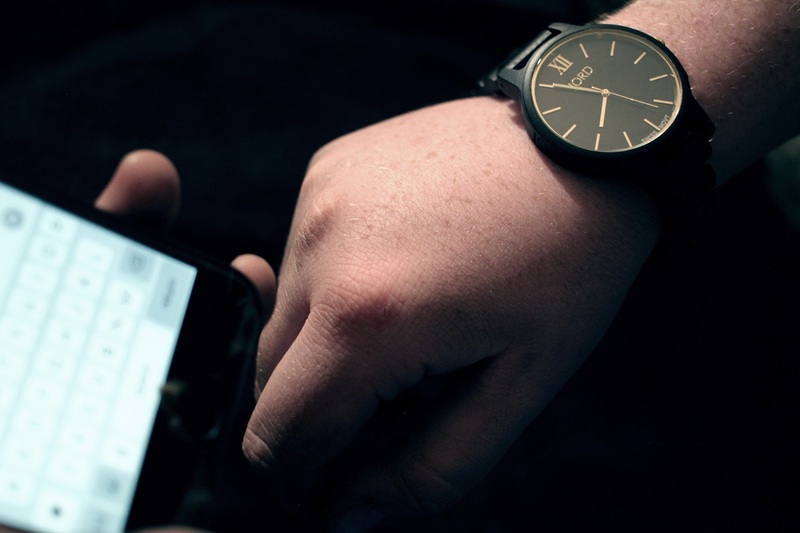 "Aspire to simple sophistication.. Minimalism has never equated to more. Strip away the excess, avoid the desire to embellish, and aspire to simple sophistication. Your time is your own. Find elegance with ease in the ultra slim case powered by a Swiss movement and enjoy the comfort of the straight line strap. The uncomplicated face allows focus, the streamlined shaping offers style. Wear time well with the Frankie Ebony & Gold." 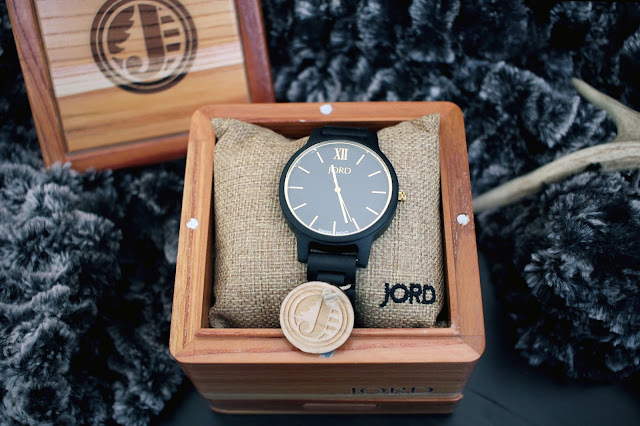 So thanks to JORD Watches I have the pleasure of hosting a giveaway that gives you a chance to win $100 JORD e gift code, as well as everyone who enters automatically gets a $25 JORD e gift code which will be emailed to you when the giveaway is over! You have until February 5th 2017 at 11:59 pm (2/5/17) to enter the giveaway! The codes will expire on April 30th 2017 4/30/17 so make sure to use them before that date!